In this episode - the final episode of season 1 -, PJ Thum takes listener questions. Questions include comparisons of Singapore/Federation and Hong Kong/China; on British attitudes to the Barisan and whether Selkirk broke his promise at the Eden Hall Tea Party; and on Alex Josey. The episode concludes with a recording of PJ's live interview on BFM89.9 on 7 October 2016. 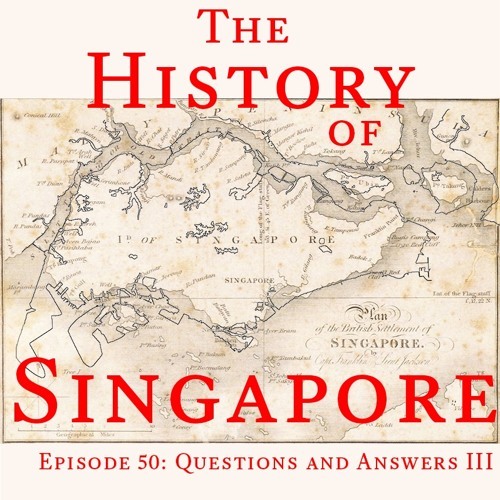 Please send questions, comments, and feedback to thehistoryofsingapore@gmail.com or visit thehistoryofsingapore.com. Support the show at patreon.com/pjthum. The History of Singapore will return.